Waterproof cover to protect your bike against the elements and possible theft. Covering your bike achieves more than one goal. The reason may be obvious: "I leave my bike on the balcony"; or perhaps it's for hiding your trusty steed from would-be thieves at the campsite. Other bonuses such as being able to use it as a ground cloth during the lunch hour are not to be spit at! 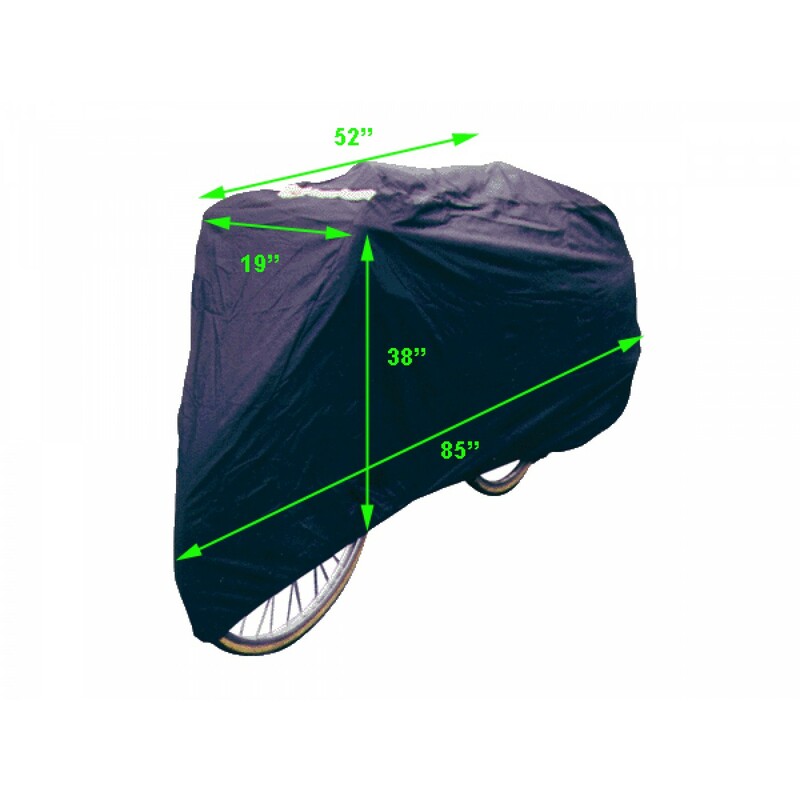 Our bike cover is made of a watertight lightweight nylon in a five-panel design that allows for a tight coverage under the wheels, yet with enough to hide four fully loaded panniers underneath if needed. The front of the cover features a reflective band for easy spotting with a flashlight. The cover comes with a strap and adjustable buckle to wrap around the front wheel and the bike down tube to prevent it from rolling or turning under the cover. Wise precaution.